As you all have seen in our previous posts, we love food. Disney food is no exception, even though it may be a little pricey at times. We’ll shell out the money if we know its good. This place happens to be one of those semi-pricey places, but love this place very much because of its environment and hefty servings. 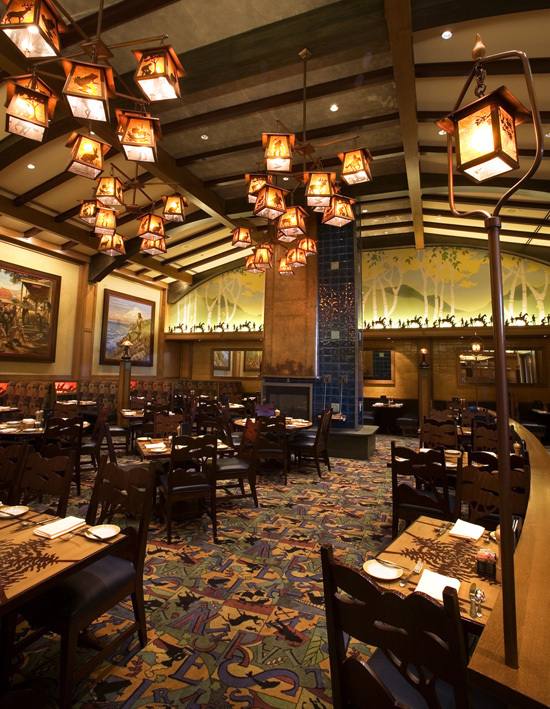 I’m talking about the Storytellers Cafe in Disney’s Grand Californian Hotel! I remember the first time I dined at the Cafe a couple years back and all I could remember is that food. Little did I know that this restaurant would make its (book)mark in my life with its large, delicious portions and storytelling decor and atmosphere, as well as the countless of special occasions I’ve celebrated with friends and family there that have truly become great stories as well. This place does tell a story and its certainly worth reading…and eating at. You’ll live happily ever full wanting more with every turn of the page…of the menu. Pictured above is one of my favorites served with the Dinner Buffet that is offered there. 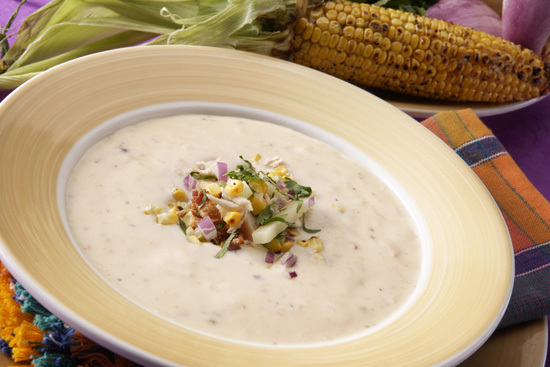 The very yummy corn chowder balances the freshly-sliced turkey and prime rib that is served as part the buffet (roughly priced at around $30). Did I mention that they take Annual Passholder discounts too?! Previous story BREAKING NEWS – The Disneyland Resort Gets Its Third Theme Park! Next story Heigh Ho Heigh Ho, A Power Walking We Will Go!